At Inspirations for Youth and Families, all teenagers in our rehab center work with their families and a therapist to re-establish healthy communication. Drug addiction brings chaos and destruction into the household. 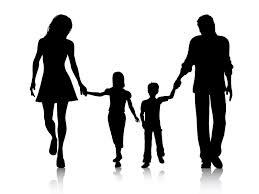 Our family therapy will help banish the demons of addiction and rehabilitate the entire family unit. Our trained, licensed family therapists help teenagers to reconnect with their parents in a productive way. Family therapists work with the dysfunctional family to resolve past issues and to work through potential conflict. Therapists facilitate group discussions about the “role” each family member has played during the course of the teenager’s drug addiction. This person is the perfectionist who needs to make everyone and everything look good. She/he refuses to acknowledge problems or pretends they don’t exist. This person constantly struggles with feelings of guilt, shame, and fear. This person is the family comedian. She/he uses humor to hide feelings of shame, embarrassment, and anger. The humor is a coping mechanism. This person is the quiet one who doesn’t like to make waves in the family. She/he avoids confrontation at all costs. This person secretly feels lonely, neglected, angry, and guilty. This person is the troublemaker who acts out in order to divert attention away from the real problem. She/he is trying to rebel against feelings of shame, guilt, and emptiness. This person tries to keep everybody happy by placating other family members and making excuses for bad behavior. She/he pretends the family is perfect. She/he secretly fears inadequacy and feels helpless. This person and his/her problems are the center of the family’s attention. However, the Addict is not the only person in the family unit who needs behavioral treatment. Certain family rules – spoken or unspoken – are more likely to bring about codependent behavior. Many rules teach codependency to children at a young age. Telling a child to hide his or her feelings or ignoring the child’s feelings will teach the child to not tell his parents when he is having a serious problem. This can cause issues later on if the child is bullied, hurt, or faced with peer pressure from friends to try drugs or alcohol. These unhealthy, learned behaviors can lay the foundation for drug abuse later in life. Codependent relationships force the family members to be defined by “roles”. Instead, each person should be allowed to tell their own story with their individual thoughts, talents, or abilities. If recovery is to be effective, each member of the family must be willing to admit and accept responsibility for their “supporting role” in the family drama. Each person involved must be willing and able to recognize one another’s independence within the family in order to overcome codependency. The family must hold each other accountable for negative, enabling behaviors. Shedding the roles in which we have been cast allows our creative, enthusiastic energy to focus on the issues at hand – providing positive support for the person struggling with drug or alcohol addiction. When the entire family works together, the chance of relapse is highly diminished. Inspirations for Youth and Families was established in 2007 in Fort Lauderdale, Florida. Inspirations Teen Rehab treats teens ages 13 to 17 with drug, alcohol, and behavioral issues. Call (888) 757-6237 for a free consultation.